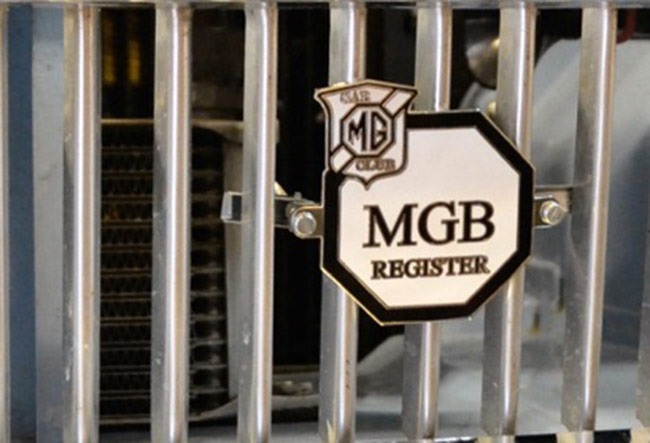 A limited quantity of MGB Register Grille badges are now available, only one per purchase, cost is £19.00 inc P & P. For more information click link below. 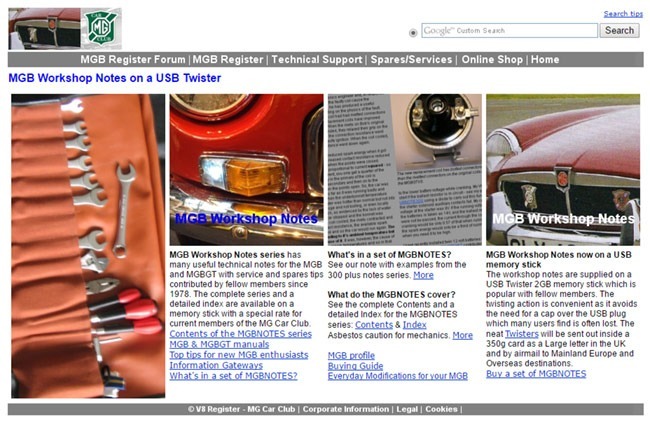 The V8 Register have sets of MGB Workshop Notes for for the MGB and MGBGT with useful spares and maintenance tips contributed by fellow members over the years. They come with a detailed index which is regularly maintained which provides a very easy way of tracking down notes on the topics which may address your spares or maintenance queries. The notes are available on a convenient USB Twister memory stick. Once you have bought a full set of the MGBNOTES you can periodically get an Update Set with all the later notes that have been published since you purchased an original copy so you will then have a full set for reference. 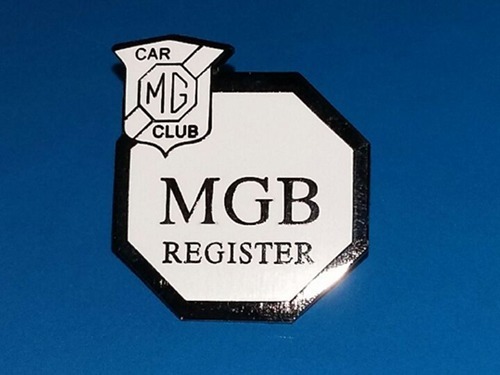 Due to popular demand the second edition of our MGB Register publication has been reprinted. Maintaining an MGB in the 21st Century. A new book by MG Car Club member Barrie Jones. 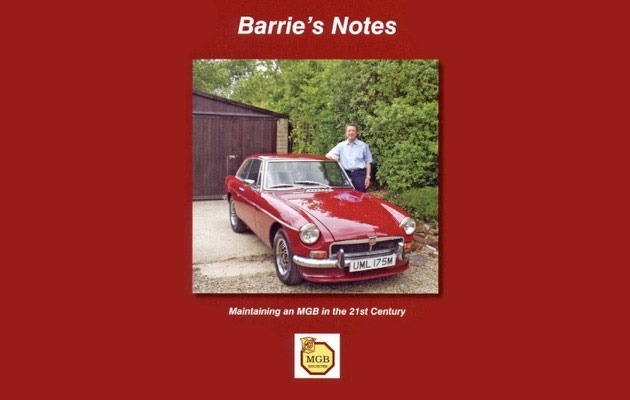 A new 80 page booklet written by Barrie Jones, detailing how to maintain the MGB in the 21st century, is available to purchase from the MGB Register online, click button below. Barrie Jones, a lifetime MG enthusiast and qualified engineer, has written the book from his experience and knowledge gained from owning and maintaining 18 MGBs. Packed with detail and with an index that runs to three pages, the book covers all the major aspects of MGB maintenance as well as looking at model variations. Practical tips include how to strip and rebuild a gearbox, which Jones hopes will encourage others to undertake the task themselves. As well as mechanical maintenance the book covers rebuilding the body, including the wings, sills and rear quarter. Size: 2.5 cm x 3.0 cm. Price are £2.50 each including Postage and Packaging. Copyright © 2016 - 2019 MGB Register. All Rights Reserved. Registered Address - Kimber House, 12 Cemetery Road, Abingdon, OX14 1AS. These cookies collect information that is used either in aggregate form to help us understand how our website is being used or to help us customize our website and application for you in order to enhance your experience.